The Cook-a-Palooza Experience: Tuna Macaroni and Cheese - Need an easy meal idea? 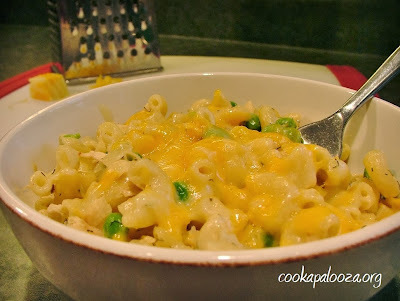 Tuna Macaroni and Cheese - Need an easy meal idea? Canned tuna is one of my favorite ingredients! It’s low in fat, full of healthy nutrients and you don’t have to cook it! You can also turn it into "comfort food" by making this Tuna Macaroni and Cheese! Simply boil the pasta, cook the onions, stir in the remaining ingredients and sprinkle on the shredded cheese. O.K it does involve a little more than that...but not much more. Check out the recipe below and you'll see what I mean! In a large pot, cook macaroni according to package directions. Drain pasta in a colander and set aside. In the same pot, heat oil over medium heat. Add onions and cook until they begin to soften, about 3 to 4 minutes. Add tuna and dill. Cook and stir for 30 seconds and remove pot from heat. Stir in mayonnaise, milk, peas, salt and pepper. Return pot to the stove-top and warm the mixture over low-heat. 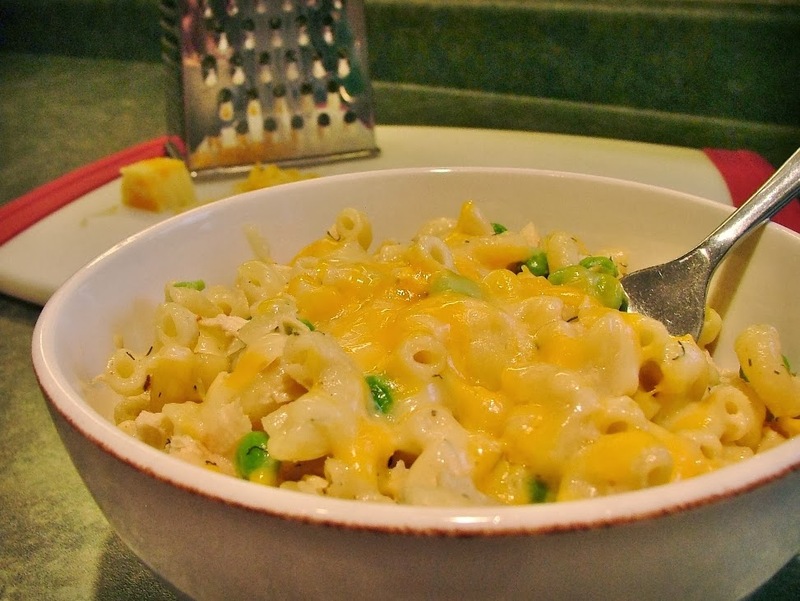 Stir in cooked pasta and sprinkle cheese on top. Remove from heat. Cover and let stand for 5 minutes before serving. Subscribe to newsletter and get access to MORE recipes and inside tips each month! We are always trying to get my nephew to eat better and he loves mac and cheese. I never thought to add tuna to it. Great idea that I'll be trying out on him! Thanks motherrimmy! Hope your nephew gives this tuna version the thumbs up! An ultimate super comfort food! What a delicious meal idea!! I love it! I haven't had macaroni and cheese in the longest time, but the addition of tuna just made my day, this looks great!